Time actually does come to a full stop when truth drops. 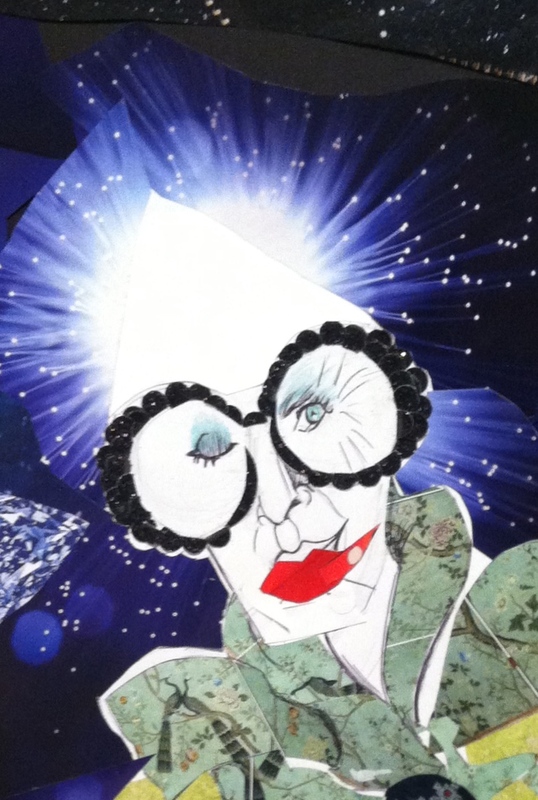 When Little Marvin, my good friend, and friend of Iris Apfel, the style icon, suggested that I illustrate Iris as his gift to her, I suddenly was a much beaming little Buddha on a little feathery soft cloud floating above the earth. Iris. Vastly creative. A rare bird among the flock. 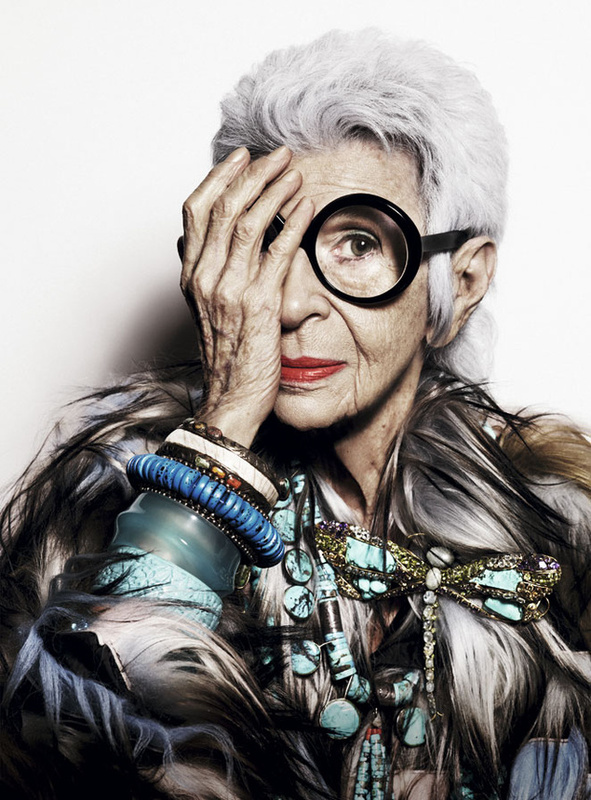 A woman of ninety-plus years whose eye and desire for play and visual pleasure are the feathers she wears and the designs she shares. 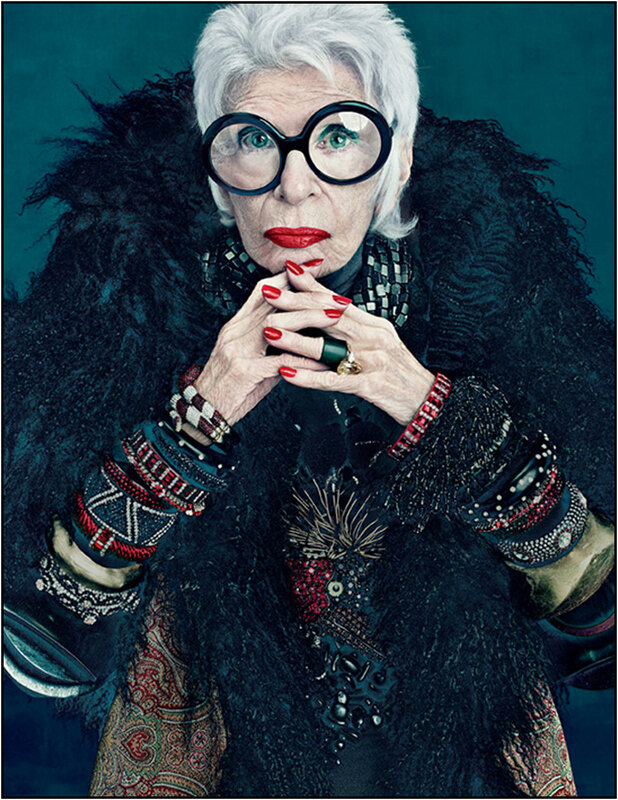 Iris herself is a celebrated subject, from the Metropolitan Museum Costume Institute exhibit on her style entitled Rara Avis (Rare Bird) to being the star of a documentary by Albert Maysles, called Iris. A collector of ornaments, both precious and amusing~for her personal plumage and her nest~portraying Iris as a bird was my first inspiration. Her hands were important to capture. 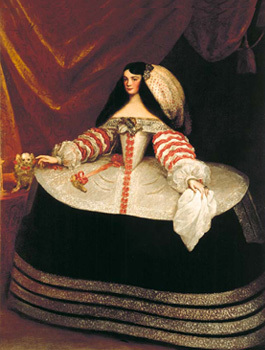 With her usual large, layered garments and miles of bangles, I saw her delicate hands floating like those of the tiny royals of Spanish infanta paintings. 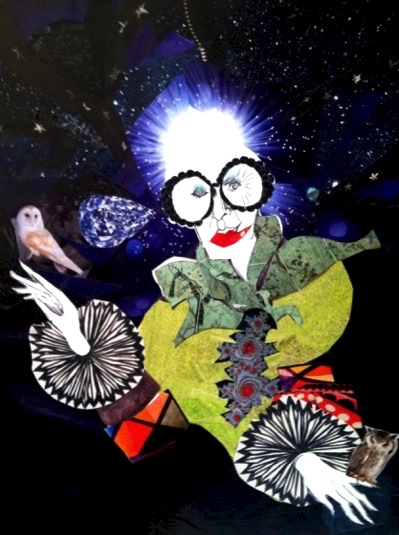 I made this collage first, Iris beaming from outer space like a Madonna, her green silk brocade collar with birds, and her pet owl. Close up, her winking eye and sly smile kept edging me on. I kept going and then happily showed this, (buy it here) to my Medici, my commissioning friend. “Too studied,” said friend, Little Marvin. ‘Himself,’ being an Original Magical Being whose creative eye is top of my list. 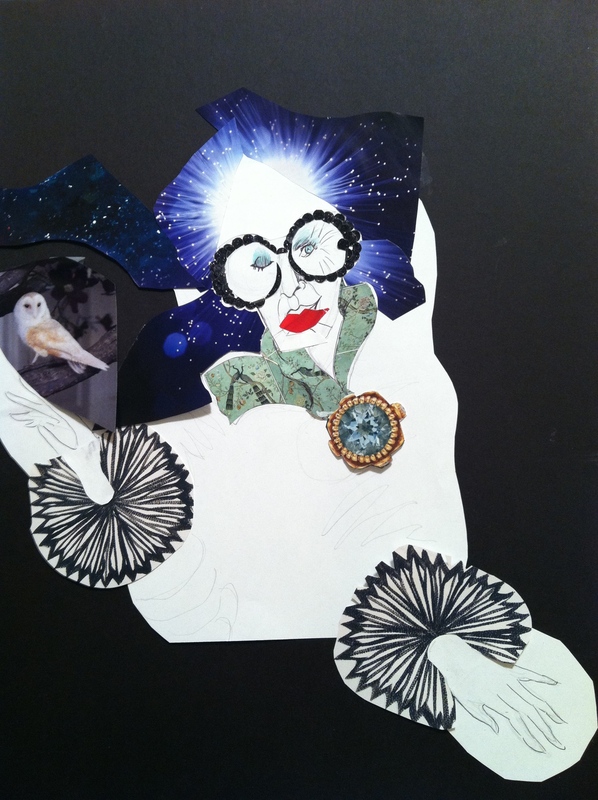 Suddenly the Iris from Outer Space (now with two owl-pets) was just a warm-up exercise! “I like your sketches better!,” said Himself. And so, as movement inspires my sketches, I watched endless videos of Iris in interviews until I found the exact frame with the exact position of her legs walking which expressed her exact character. I freeze-framed it and sketched it with quick lines, gave her pink feather cloud coat, and a tiny turtle as a pet to walk. “LOVE!,” said The Modern Medici. And thus the gift…of Iris. Buy the Iris sketch here!